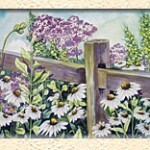 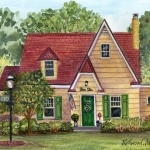 Kim Foster specializes in watercolor painting, particularly of historic homes, architectural landscapes, and floral gardens. 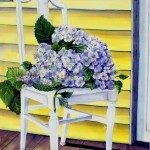 She begins each painting with yellow highlights and violet cast shadows. 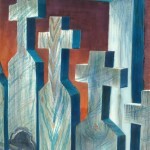 Building layers from light to dark, the artist naturally leaves the white of the paper and paints darker hues around objects to create a high contrast. 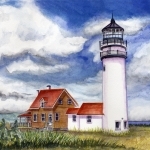 Other simulated texture techniques include dropping water into wet paint to create a sky, using paint in a dry brush for wood grain or grass, and splattering or flicking paint in the foreground. 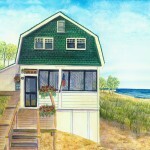 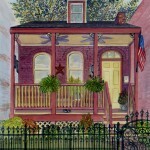 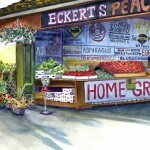 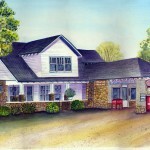 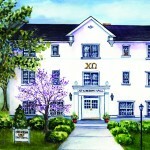 Foster is known in the metro-St. Louis area for her custom watercolor paintings of houses, making each one as unique as the people who live inside them. 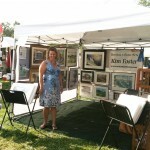 Kim Foster grew up in Elkhart, Indiana and received her Bachelor of Fine Arts from William Woods University in Fulton, Missouri and her Masters in Education from the University of Missouri-St. Louis. 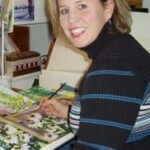 In 2006, she was awarded the Missouri Secondary Art Teacher of the Year award and is currently teaching high school art at Kirkwood High School in Kirkwood, Missouri. 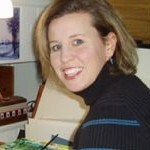 Kim Foster is an active board member of Missouri Art Education Association, elected as the Secondary Division Rep for Missouri and the Moderator for the MAEA Artbytes forum. 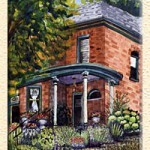 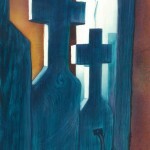 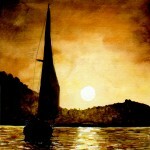 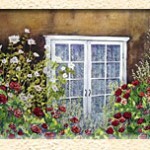 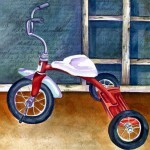 She is an Associate member of the Missouri Watercolor Society and the St. Louis Watercolor Society. 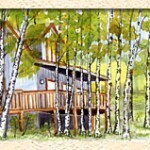 Kim Foster resides in Fenton, MO with her husband, John Powell.